USA TODAY best-selling author Natasha Brown blends urban fantasy, paranormal romance, and supernatural suspense in the Half-Bloods, an adventure for lovers of shifters, vampires...and more. Jax never stays anywhere long enough to put down roots. He’s a shapeshifter - the only one of his kind, or so he thinks. While prowling on his landlady’s property, he is stunned to find a man feeding on her neck. Although he frightens away the blood-sucker, Jax leaves behind a paralyzed woman and a trail of blood in his wake. In the sky, ships appear. Colossal alien spacecraft hover in different locations, strategically placed around the globe. With the virus having killed off most of humanity and the arrival of the extraterrestrial ships, how will the survivors defend themselves against this new, impending threat? Join the survivors as they prepare to battle the unknown. What they're up against is much greater than anything they could ever imagine. Will humanity prevail? Fatal Reaction, Survival was another great read by M.A. Hollstein. The survivors are now dealing with ships that appear in the sky. There are alien spaceships that are placed in different locations across the globe. The survivors have been battling the virus that has killed most of humanity and now they are facing the extra terrestrial ships. I enjoyed reading this post-apacolyptic book. I had to stop this book multiple times! I got so scared. 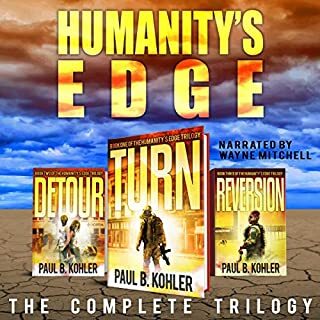 These books are a mix of walking dead and falling skies! Great storyline, background of characters, and narrator! 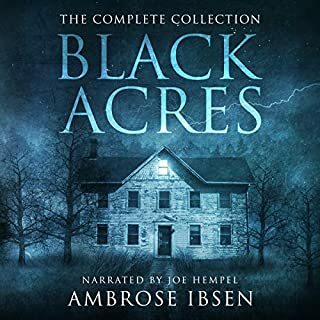 Another great story from MA Hollstein matched by an equally great narration by Tim Jackson. The main characters from book one were joined by others. These people also survived the infection and were all scared of the looming danger above. As they try to live day to day, they were forced to face scarier circumstances and individuals. The suspense was definitely rising as the surviving humans realized that the threat they face was way beyond what they imagined. The big twist in the first book was accounted for and then another twist was introduced. Brilliant! Making me eager to start listening to the third book. A Virus, Alien Invasion & Human Survival!! 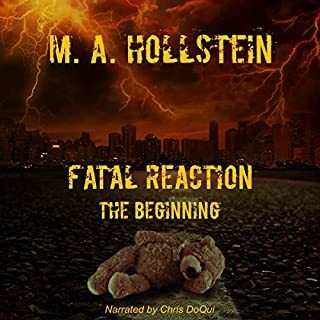 This installment to the Fatal Reaction series is very well done. The author gives us a decimated Earth, developed characters and scary situations! I enjoyed this book despite Ellie driving me crazy. This story continues to take us on a crazy, suspenseful and amazing adventure. I listened to this in one setting and look forward to the next installment. 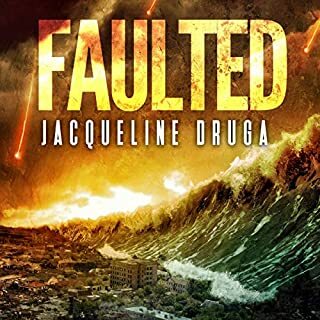 If you don't like cliffhangers then you'll want to get the third book before listening to this one. The narration really brought the story to life and the voices are nicely distinct. Can't wait to listen to the next one! This book was engaging right from the start and I really enjoyed it. I look forward to more books from this author. a very good listen to have . the story was very good i liked it a lot the zombies story was a good one i loved it. 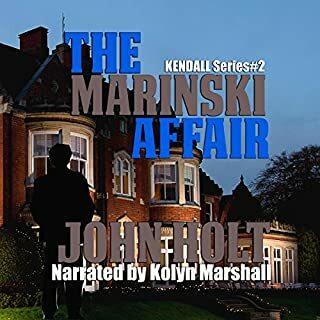 Book 2 in a series but actually a stand alone audiobook. I enjoyed the listen and hopefully will have the chance to listen to more of the authors work. There are several groups of people (and non-people) but the characters are so well defined that you never lose your place (and that is a mark of quality writing!). The author was kind enough to gift me with my copy in exchange for a honest review. 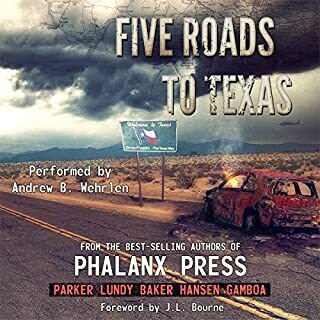 I honestly enjoyed every minute of this audiobook and I think you will too. I love zombie stories and I'm always thrilled to find a new angle on it. This had the usual thrills you could expect, but the story behind the plague was completely different and just the tip of the iceberg. Very original, very intriguing. Great character development as well and lots of action. One of my new favorites. I really enjoyed the first book, so was happy to move on to this one. I found that I enjoyed it as much as the first. The narrator does a good job and kept me engaged throughout. I really love the alien aspect of this series in a zombie apocalypse. Definitely looking forward to book 3. Amanda and Bill along with his son who survived the virus have been holed up in her condo. These two have major past issues that keep making them make poor choices when it comes to their survival. A confrontation with the Crusaders, Bill makes asacrifice for the greater good of his son. They run into the aliens Susan and Liam who helped them escape in the first book. Not my people I'm afraid of - it's what's coming. "It's not my people I'm afraid of - it's what's coming." The book is nicely written, building tension, the oppression of the ship's presence constantly there. The story line moves between different people, their fears and their hopes expressed, their actions followed. It is not dependent on major confrontations, though they do occure, but on the internal observations of each separate character. The people become very real, their reactions what might be in such a situation. It is cleverly presented to give the reader the feeling of actually being there, with the terrors and uncertainties of life threatening unknowns. Narrator, Tim Jackson, has a pleasing mellow voice with just a tiny undertone of the sinister just below the surface, perfect for this book. His pace is not fast, no histrionics, but steady, which curiously increases the tension. It feels like breaking point is not far away. His voicing of each protagonist is individual and appropriate. A fine performance. 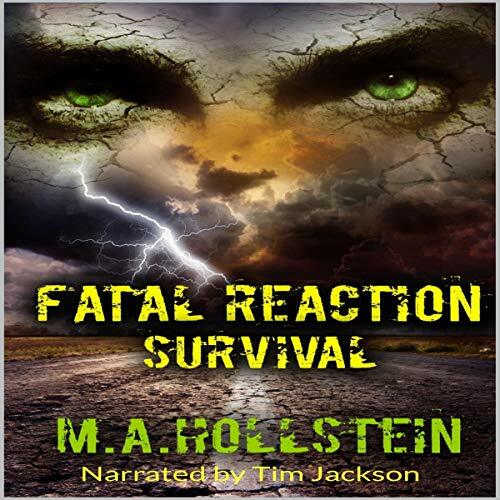 My thanks to the rights holder of Fatal Reaction: Survival, who, at my request, freely gifted me a complimentary copy, via Audiobook Boom. This is an unusual apocalyptic story, not just the average survival after the disaster book. And with more still to come, I am very much looking forward to the continuation in book three.